يشكل Parklands Motel بموقعه الممتاز في تى أناو نقطة انطلاق جيدة لاستكشاف هذه المدينة النابضة بالحياة. يقع مركز المدينة على بعد 0.3 Km فقط. ويمكن الوصول إلى المطار خلال دقيقة. يضفي محيط الفندق اللطيف وقربه من Te Anau Glow Worm Caves, Kowhai Gifts & Souvenirs, ‪Fiordland Water Taxi‬ سحراً خاصاً على هذا الفندق. إن الخدمات التي يقدمها Parklands Motel تضمن للنزلاء إقامة مريحة. يقدم الفندق فرصة للاستمتاع بشريحة واسعة من الخدمات بما فيها: واي فاي مجاني في جميع الغرف, خدمة التنظيف يوميًا, خدمة غسيل ذاتية, مرافق مخصصة لذوي الاحتياجات الخاصة, واي فاي في المناطق العامة . تعكس غرف الفندق البالغ عددها 16 المنتشرة في طوابق جواً من الدفء والألفة.خدمات عصرية مثل تلفزيون بشاشة مسطحة, غرف لغير المدخنين, تدفئة, مكتب, شرفة/ تراس موجودة في بعض الغرف المختارة. يمكنك الاستمتاع بالأجواء المريحة التي تقدمها ساونا, سبا, حديقة طوال النهار. استمتع بخدمات لا يعلى عليها وعنوان ذو اعتبار في Parklands Motel . 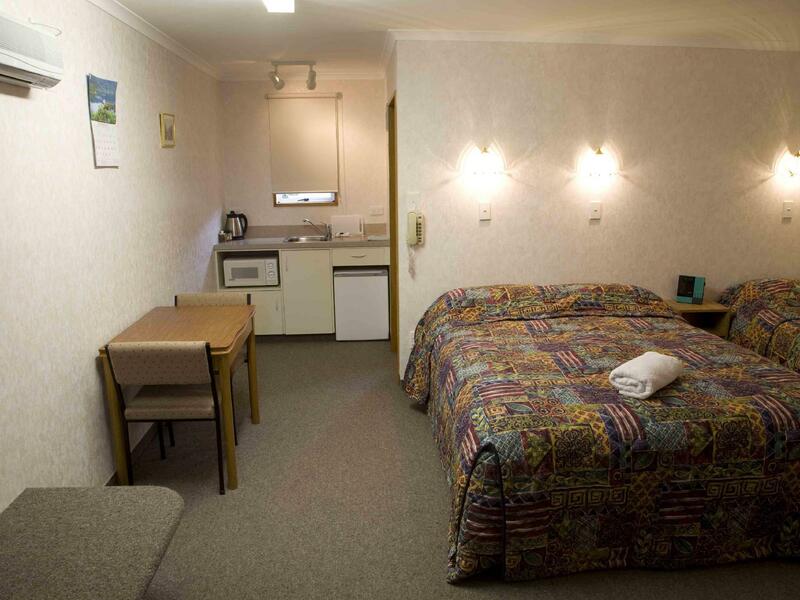 Parklands Motel is located about two blocks from the center of Te Anau and only about a 5-minute walk from the lake. 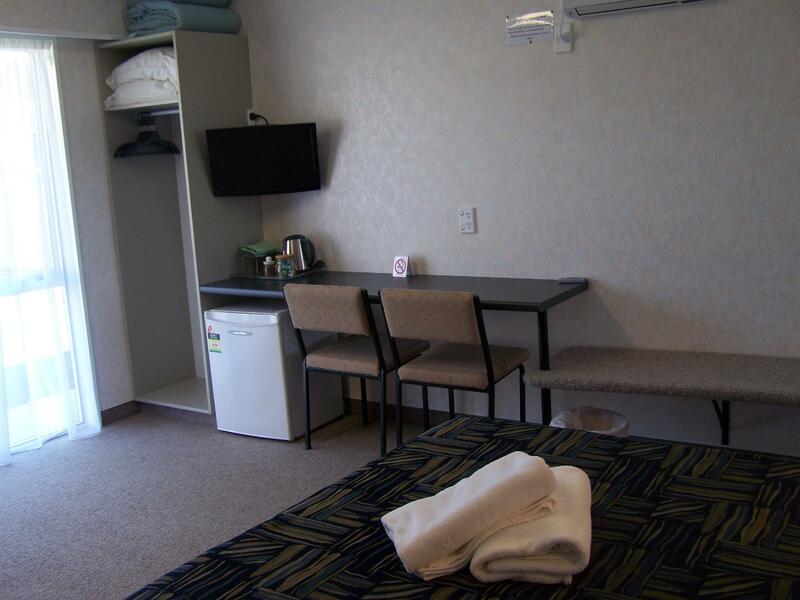 The rooms are clean and spacious and recently renovated (as of February, 2019) with new furniture and appliances. The WiFi is slow, but I think that is typical for this part of the country. Overall, I enjoyed my stay and would return. We stayed here on our way to Milford Sound and it was comfortable. 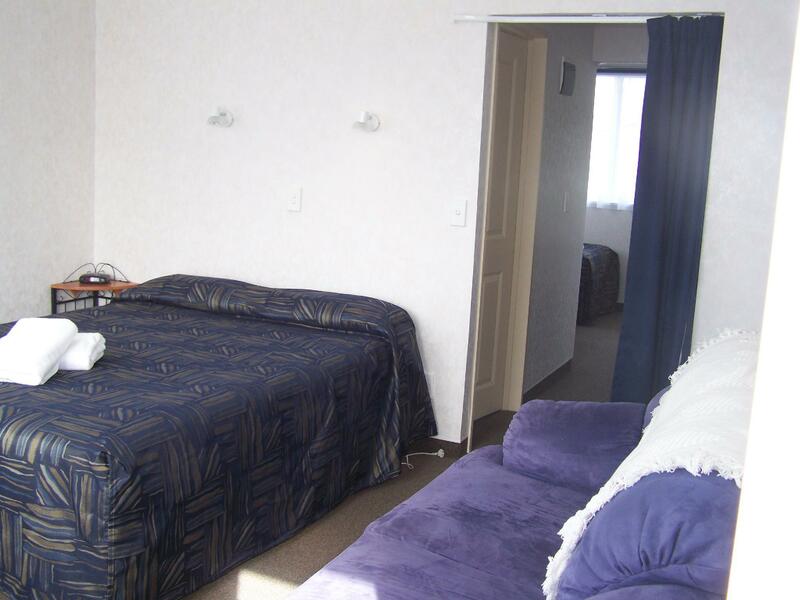 Room was well appointed and the motel is close to the lake and main street of Te Anau. When we arrived we were given a free jug of milk which was a nice touch! They were also very informative and willing to help, with plenty of local knowledge. The queen twin room was much more spacious than it looked in the picture. We had plenty of room and the kitchenette was well stocked. One morning we rushed to get on the road for our day trip to Milford Sound and left our dishes unwashed, we returned to find them all cleaned and put away, which was an unexpected surprise! The room and ensuite were both immaculately clean and so was the main kitchen onsite. We were very pleased the Wi-Fi was free, it was a bit slow but adequate. The TV was a modern smart TV and had lots of channels. Overall, a great stay and we were very impressed at the quality for the price - thank you! Great location, very, very clean & pretty compact, but everything we needed (although the fridge was super tiny). No ‘do not disturb’ sign for the door, which we like to use, particularly when there isn’t a safe in the room so that we don’t need to worry so much about what we leave out. (Yes, we do know that they can still come in). I wasn’t pleased to return and find the curtains had been pulled opened on the ground floor sliding doors, especially since we were gone for 12+ hours. Other than that it was a good stay. We enjoyed our stay in Parklands. The owner (Shona) was very helpful and friendly. We stayed in the studio unit #9 that has a pretty view of the park and mountain. The room is clean and bed is comfy with basic kitchenette. There is a cooking area in the open area behind my studio unit that is available for heavy cooking...(stove area) . Laundry and Suana is available but a fee. I loved their beautiful roses. Walking distance to the town and lake about 5- 8 minutes walk. There are 2 supermarkets and many other eateries and shop and a gas station (petrol) in the town centre. Upon arriving we were given very good guidance on activities we can do in the area. The host was helpful and very friendly. It was not pricey at all and worth value for money. 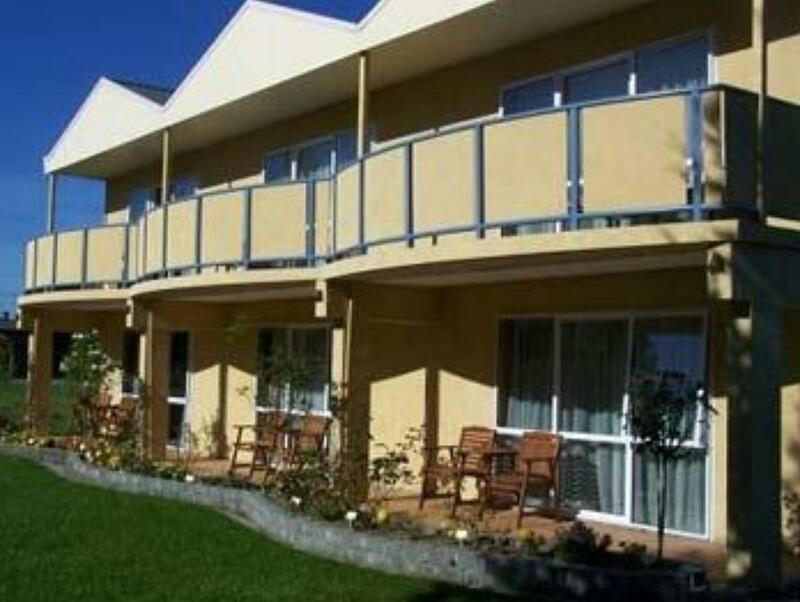 For value conscious traveler who prefers not to spend too much money on accommodation but still expect everything in it, I think Parklands Motel ticks all boxes for it. Stayed only one night. Owner is a very nice guy, talked with him at length about the area. Rooms are dated, but kept in nice shape. Bathroom was redone in our room, though, and was nice. You can walk across the town green to the "downtown" area. 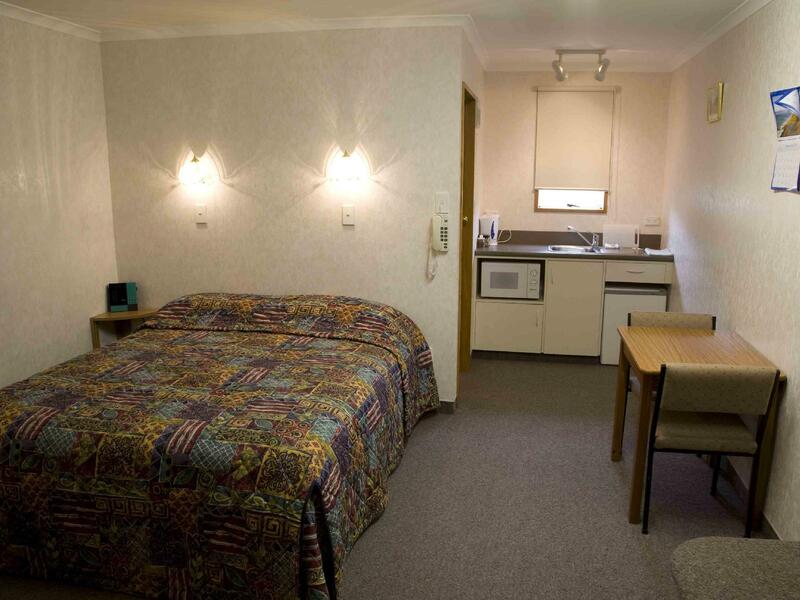 In general a nice, small motel typical of NZ, but on the older side, which is reflected in the price. Just about the best dollar/value place we found in NZ South Island other than a campsite. 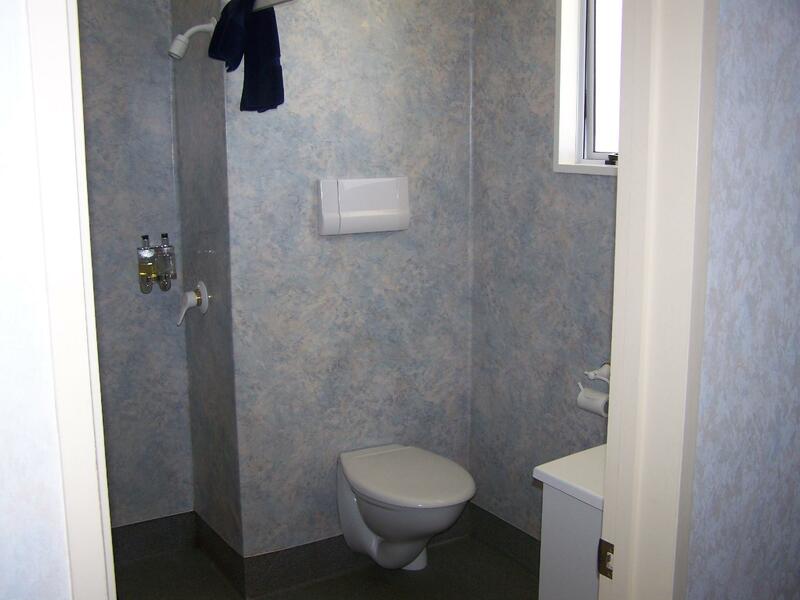 We were very impressed by the new studio unit we had at parklands motel. We would definitely stay again. Great location, close to everything but very peaceful and quiet. New furnishing, very comfortable. Big, very tidy apartment with a very comfortable bed and the helpfulness of the owner was really remarkable. Just 2 minutes to the Towncenter, 5 to the lake and the busstop. I recomand highly this motel. This was a decent size room, with sliding glass doors so there was a lot of light. There was a small fridge ad an electric kettle in the room, but there was also a large kitchen available to guests as well as a BBQ, so you could cook a large meal if you wanted to. The community kitchen had a large fridge/freezer, stoves, 2 microwaves, dishes, recycling bins, etc. Rooms included wi-fi, good lighting over the bed, a DVD player (there were DVDs available I the office), sufficient electrical outlets, a bench for suitcases, 2 chairs, sofa, coffee table, TV, closet, plenty of blankets and pillows, phone, alarm clock, and a free-standing hair dryer. The owner supplied the first jug of milk upon check-in (about 8 oz.) Also available on the grounds were a guest laundry (which we didn’t use but $2 each, washer and dryer), clotheslines, spa or sauna for an extra charge, and a playground with a trampoline. The property is walking distance to the center of town, through a park and gardens, and there are several restaurants within a 5-15 minute walk. There was a lot of info in the room about restaurants (including actual menus!! ), and all sorts of activities – walks, church services, tours, etc. They only supplied one washcloth, although I’m sure we could have easily asked for another. There was no fan in the bathroom, no mirror other than in the bathroom, and the bed I would say was a comfort level of 8 out of 10 – although that is quite subjective and you might love it. I would have liked tissues, an ice cube tray (which the owner said kept disappearing, so he did try), and a small shelf in the shower so I didn’t have to put stuff on the floor. These things are all pretty minor, so I would still recommend this motel. Cool, Charming, Spacious and a view over a rose garden to the park and woods. Comfortable beds, free laundry facilities and free fruit off the local trees. I wanted to stay for a week. The owner was a knowledgeable local man with all the right information. STAY, PLAY and ENJOY. Good value for money, walking distance to lake side and shops. Clean, well maintained, feels quite new. There is a large kitchen / dining room that is free to use (you must wash up afterwards), $2 each per use of washing machine and dryer (detergent can buy at reception for $1 or $2, can't remember). The wi-fi here is unlimited. Owner allowed us to park additional 1 night free, for our overnight cruise in Doubtful Sound. Very comfortable room with sink, fridge, microwave, crockery and cutlery. Also a communal kitchen which was spotlessly clean. Also an efficient barbecue in the garden and a laundry. Just a short walk across the park to the Main Street and the lake at the end of the street. This is the Worst hotel i lived in NZ. The room is very simple build by G-block and there is no sound insulation at all. We could hear other room very clearly. The owner and his wife is a bit rude as well. Will never come back again. We enjoyed our 2 nights here. Gary at reception was so helpful when we nearly missed our tour to Milford Sound when we couldn't remember which tour company we were going with. He called them for us to make sure they waited for us. Having a large, shared kitchen was really handy. It was located easy walking distance to restaurants and shops. We really liked our stay here. 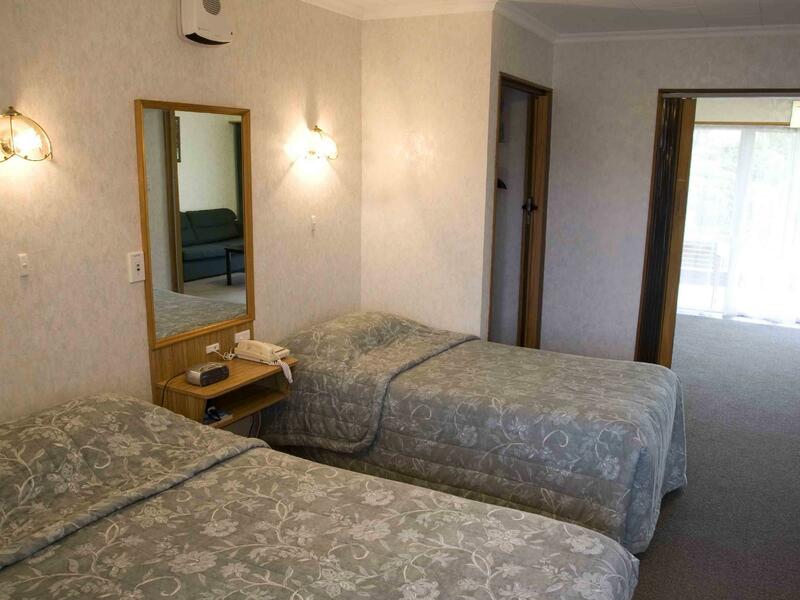 The staff were friendly and the location of the hotel is close to everything in the small town of Te Anau. We stayed here because it was close to Milford Sound and our cruise of the area. Highly recommend. The unit is spacious and clean with parking and kitchen.